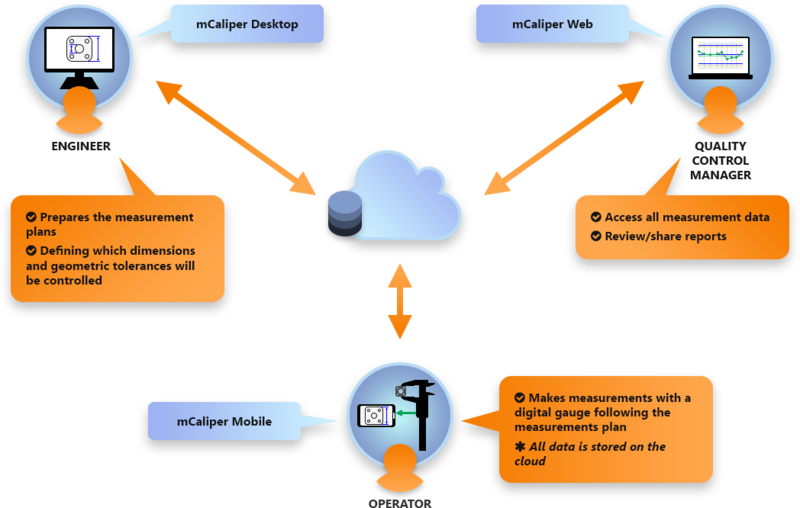 mCaliper is a mobile solution for keeping track of measurements done with a digital caliper, micrometer or any other manual measurement tool. With the help of a mobile device connected to the digital caliper all results are immediately stored in the cloud. Quality Control Departments of manufacturers around the world face the same challenge of no traceability of the measurements performed manually by the operators. Results are usually hand written on notebooks or unaccounted for. 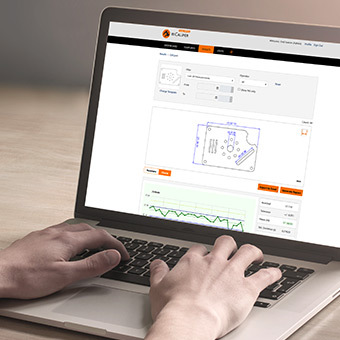 Already having the experience with Scan Fit and Measure systems EngView team decided to develop a solution that will help operators send manual measurement results to a mobile device and then store the data in the cloud. A measurement plan displayed on a mobile device prompts the operator which dimensions to check and immediately calculates the deviation from the nominals. 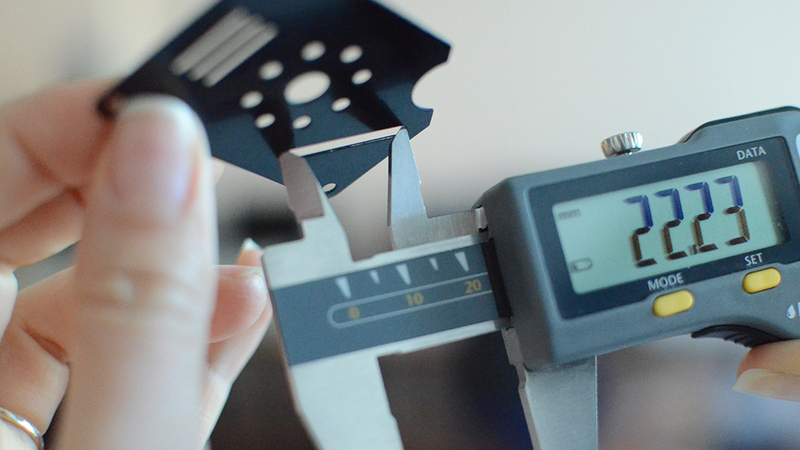 Bluetooth connection between the smart phone and thedigital caliper ensures that the measurement data is safely stored in the cloud. mCaliper is a software solution that consists of a mobile application and a cloud server. 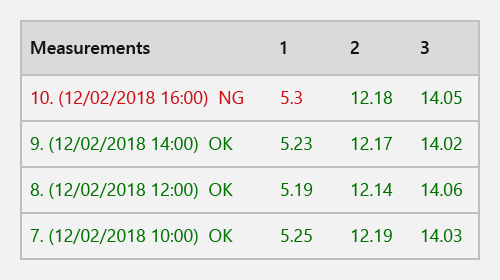 What do I need to start using mCaliper? 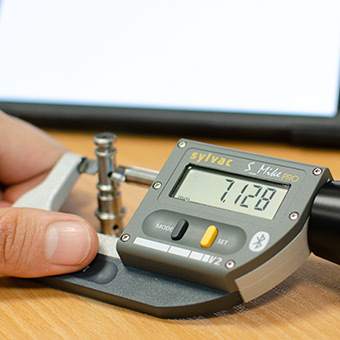 To start you will need a manual measurement tool like a digital caliper, a digital micrometer or an indicator that could connect to an Android device via Bluetooth or USB. You will need an Android smart phone or a tablet that would be easy to carry around the production facility. You can either put it in your pocket or strap it to your arm. 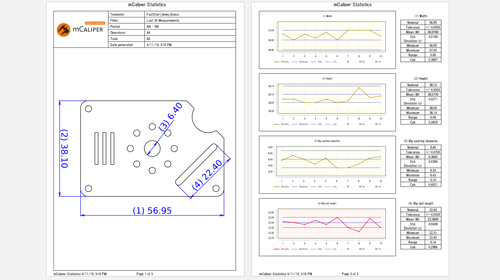 mCaliper is a set of applications facilitating the work of the quality control engineers for the preparation of measurement plans, storing of measurement data and reporting to management and customers. The work of the QC teams is usually difficult to track and trace back days, let alone weeks or months. 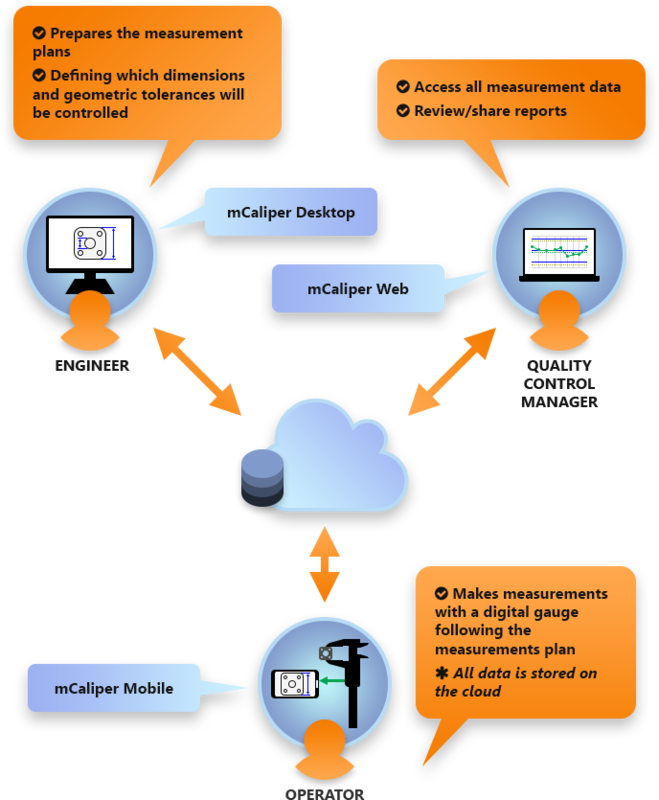 With mCaliper all data is saved at the moment of measurement, ensuring traceability of the measurement results as required by ISO standards. 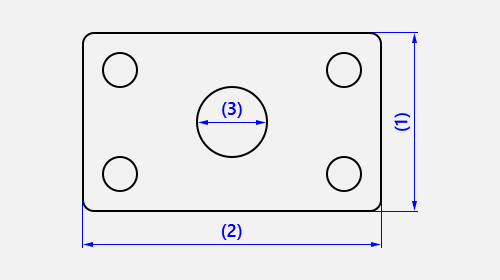 Predefined measurement plans prompting which dimensions and geometric tolerances are to be controlled. Measurement plans are easy to execute and the results are safely stored in the cloud. mCaliper gives operators the freedom to use the caliper everywhere in the production facility without the requirement to be plugged to a computer. 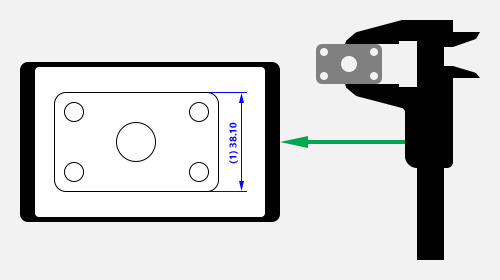 The solution uses a mobile device receiving data from the caliper through Bluetooth or other connectivity. All measurement data is stored in the cloud or on an internal network server allowing quick access to the measurements results. 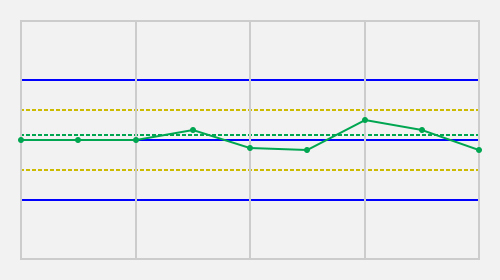 The QC engineers can review measurement results with comparison to the nominal drawing, see graphical representation of the deviations over time and analyze data. The system generates reports that could be sent to managers, customers or suppliers to prove the quality of the production. 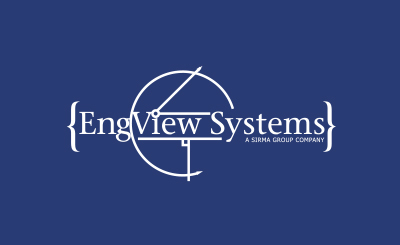 EngView Systems is a software company specialized in the development of industrial applications for automation and data processing in manufacturing. 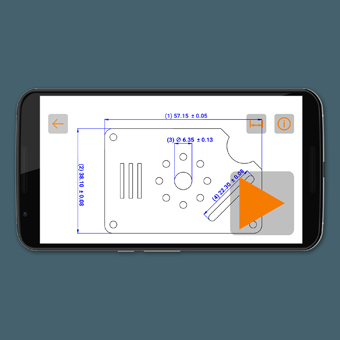 In partnership with the vision metrology company - QVI, EngView Systems has been working on various machine software for manufacturing process control. The company’s products include CAD/CAM software for structural design of packaging, Scan Fit and Measure software for 2D measurement of aluminum and PVC extruded profiles, tool matching software among others.